Airplane crashes are broadcast widely and become infamous. Consequently, industry was compelled to make substantial improvements to airplanes, their instrumentation, the training of pilots and air traffic control. Without awareness, people would not recognize a crisis and there would be little impetus for change. No news is, well, no news and no change. The Federal government payroll information system, Phoenix, debacle is well known because the media heralds the problem and we can empathize with those affected. In health care, preventable errors are invisible to most people. However, studies show that tens of thousands of Americans and Canadians suffer and die as a result of preventable medical mistakes . Modern information and communications technology could prevent many of these errors. Yet, much of the information technology used in health care is inadequate or poorly executed, thereby denying such advantages to all of us. Most people are not familiar with the problems of health system technology and the resulting harm. 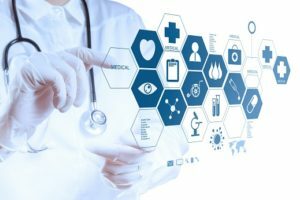 It may be news, to some, that current health information technology often causes unnecessary work, generates new errors and is not contributing, as was assured, to improving patient care. Information system problems can cause medication orders to be altered and important laboratory results to be lost or ignored. The outcome is that health information systems do not properly support the excellence of care, and the reporting of overall results, that is our rightful expectation. State-of-the-art health information systems should provide every patient with access to his or her own medical data and should prompt patients and physicians when results require attention. Unfortunately, Canadians have realized little health benefit from the billions spent on health information systems. Government, government designates and healthcare agencies have often chosen systems that are difficult to use, time-consuming, error-prone and poorly implemented. Systems may not only increase the time required to document care, but can and often do reduce the time available for care itself. Further, our information systems do not produce information about the efficiency and effectiveness of the healthcare system. Systems ought to help us to assess care and identify what is helpful, harmful, or merely a waste of time and money. One significant reason that adoption of health information systems has been problematic is that clinicians have not been valued participants in their selection and implementation. In addition, agencies choosing health information systems rarely evaluate and publish how they affect patients or healthcare management. Perhaps even more frustrating, perverse policies prevent clinicians’ use of the best features of capable technology. Clinicians would love to improve care and reduce the time people must spend visiting their doctor for advice and prescription renewals. Yet, government-imposed fee schedules often penalize doctors who try to make care more convenient for patients by addressing their needs at home. Despite the fortune spent on health information and communications systems, most patients are unable to use electronic media or even the telephone to get medical advice. This is not a technical problem; it’s a policy problem! In California, in the Kaiser Permanente health system, millions of people have access to their own health information. Moreover, it is used to assess the needs of patients. There, technology allows patients to avoid many inconvenient face-to-face visits and helps measure and improve the results of care. In Canada, it seems that we need a reboot when it comes to health information and communications systems. We need to rethink what we want to achieve regarding patient outcomes and healthcare management, and determine what we need to accomplish that. Then we need to identify systems that are successful elsewhere, assess them, adapt them and adopt them here, implementing and evaluating them with proper engagement of those affected. But, to achieve valued objectives, sensible policy must replace that which senselessly penalizes those trying to provide excellent and convenient care. Maybe then we could catch up with other industries, like banking and retail, that have revolutionized how they do business and connect with their customers!